Asimo (Advanced Step in Innovative Mobility) is a humanoid robot made by Honda. 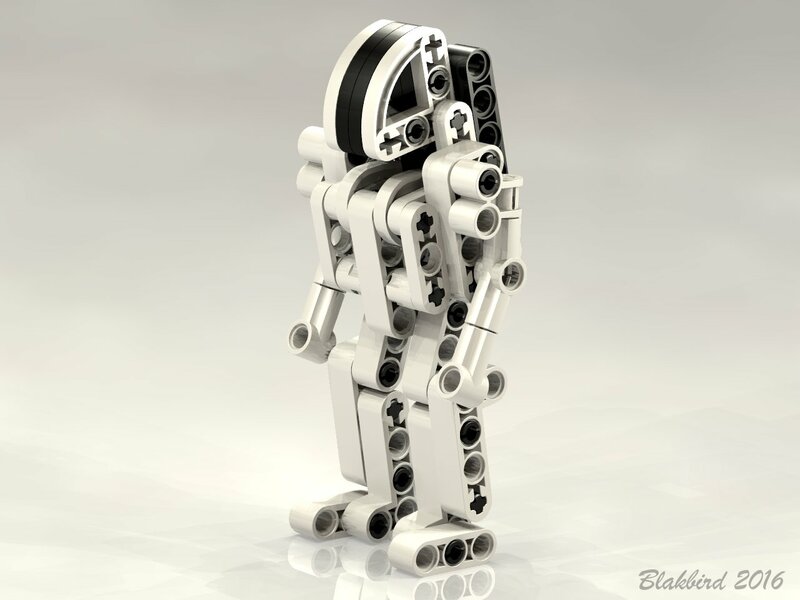 It was unveiled in 2000 as the first bipedal robot with a convincingly realistic human gait. LEGO released set 1237 as a promotional set with Honda. 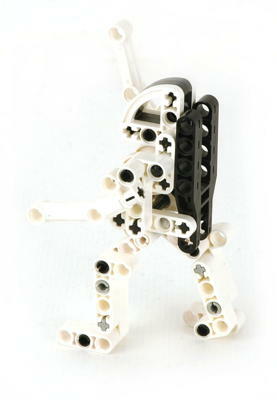 The only feature is a few pinned, posable joints. This rare little set is a source of a few very uncommon white parts. 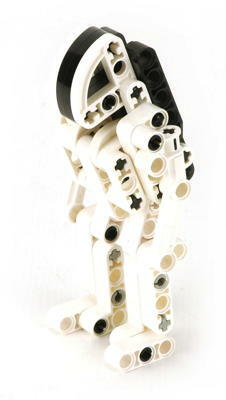 The model includes single degree of freedom pinned joints at the shoulders, hips, knees, and ankles. This allows a reasonable amount of posability. With no ball joints, however, it is far less capable than the real robot.